The production period leading up to the holidays can have toy factories feeling as if they are as busy as Santa's workshops. The elves have to do overtime and breakdowns in equipment are to be avoided. Even Santa could benefit from factory automation that makes reaching the high production targets easier with increased reliability and shorter lead times. New touch-screen technology combined with a powerful processing unit helps workshops with holiday production challenges and lets factories ship products quickly. According to trade association the Toy Manufacturers of America, about two-thirds of toy sales occur in the fourth quarter; boosted by gifts purchased during the holiday season. When initial sales figures and forecasts come in, manufacturers have to be able to adjust quickly to changed production requirements. This year, licensed toys related to the movie "Frozen" are expected to be big sellers, but action figures from "Teenage Mutant Ninja Turtles" could be the hit of the season instead. Manufacturers can use factory automation tools to increase flexibility and help make changes in production volumes faster and more reliable. 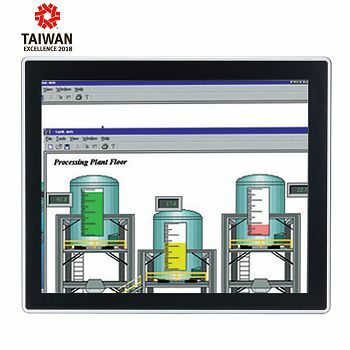 The Axiomtek GOT3187W-881-PCT touch-screen panel computer is ideally suited as an operator interface and central processing unit for factory automation applications. 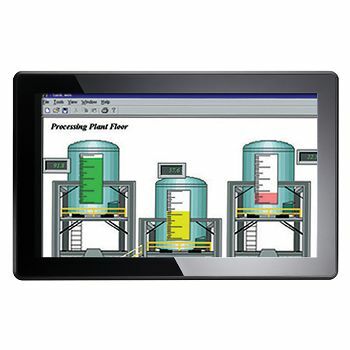 With fourth-generation Intel® Core™ processor, flexible interfaces and a rugged construction, the unit can be mounted on the shop floor, display inputs needed by the operator and deliver commands through the touch screen. 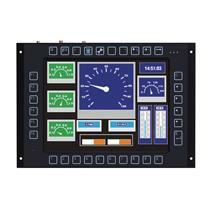 Pre-programmed settings help make production change-overs from one product line to another quick and reliable. Careful monitoring of key production variables allows operators to optimize the lines for high volumes when needed for the holiday sales. 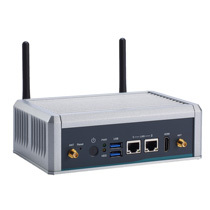 The widescreen 18.5-inch GOT3187W-881-PCT computer is a high performance all-in-one panel computer suitable for mounting on a stand, on the wall, on an arm or as a desktop computer. Its IP65 front panel is dust proof and waterproof against spills. It can withstand vibration up to 1.2G, 10 to 500 Hz and has an operating temperature range of 0 to 40 degrees Celsius (32 to104 degrees Fahrenheit). 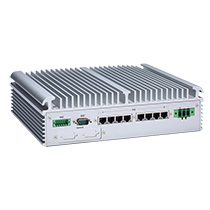 Cooling fins along the back of the processor enclosure give the unit added strength and permit fanless operation. With its rugged construction and extreme slim design, the unit is suitable for mounting in industrial and factory-floor environments. 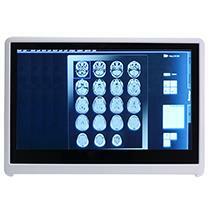 The widescreen 18.5-inch GOT3187W-881-PCT computer is a high performance all-in-one panel computer suitable for mounting on a stand, on the wall, on an arm or as a desktop computer. Its IP65 front panel is dust proof and waterproof against spills. 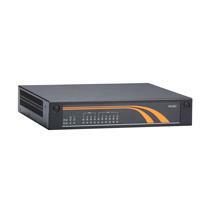 It can withstand vibration up to 1.2G, 10 to 500 Hz and has an operating temperature range of 0°C to 40°C (32°F to 104°F). 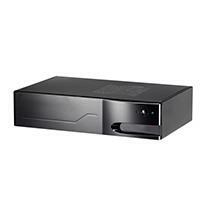 Cooling fins along the back of the processor enclosure give the unit added strength and permit fanless operation. With its rugged construction and extreme slim design, the unit is suitable for mounting in industrial and factory-floor environments. 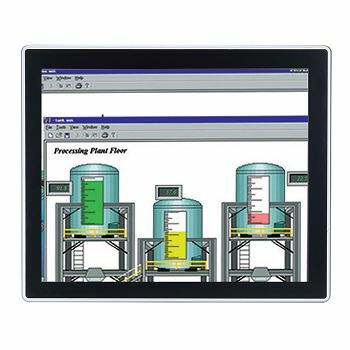 The 18.5 inch projected capacitive multi-touch screen has a high resolution of 1366 x 768 pixels and a brightness of 300 nits. 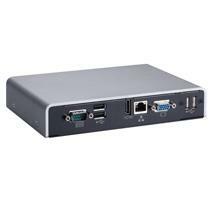 The CPU 1150 socket can carry 4th generation Intel® CoreTM i3, i5 or i7 processors (Codename: Haswell) and the board has the Intel® H81 chipset. 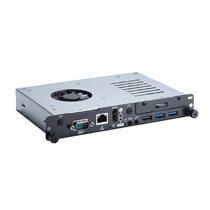 It supports up to 8 GB RAM and has sockets for a 2.5 inch SATA hard disk drive or solid state drive and for CFast cards and mSATA drives. 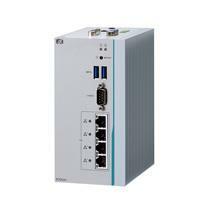 A flexible factory automation solution has to include standard interfaces as well as expansion possibilities. 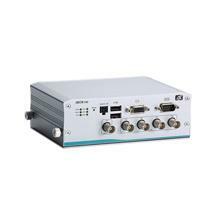 The GOT3187W-881-PCT has 2 USB 2.0 and 2 USB 3.0 ports, 2 RS-3232/422/485 serial interfaces, one HDMI socket and line out/mic in audio connectors. There are expansion slots for two PCI Express Mini Cards. 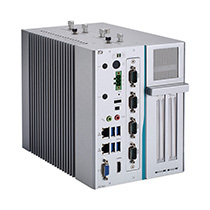 The ruggedized industrial grade touch panel PC GOT3187W-881-PCT can exchange data with other control stations using the same model panel computer, but it can also communicate with Windows desktops or laptops back in the office. 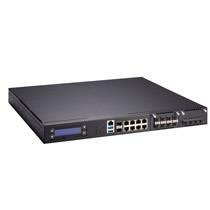 It has 2 Gigabyte Ethernet ports, and wireless connectivity can be added via the PCIe slots. 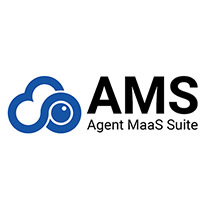 Its ability to run Windows® 7 and 8 means it can join Windows® networks while retaining the capability to act as a local control station for factory automation applications. With its large, high resolution screen, the Intel® Core-based GOT3187W-881-PCT panel computer can allow operators to visualize the production line and identify problems before they become serious. 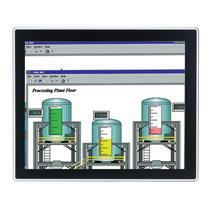 Through the touch screen, operators can issue commands and initiate or stop a particular production process as needed. When the lines switch over to different products, the new settings required can easily be called up on the panel. Operator error is reduced, switching production is more rapid and overall reliability is increased. In the lead-up to the holiday season when sales volumes are critical for profitability, this reduced reaction time and lower downtime can improve factory performance. Factories whose automation system allows them to respond to changing requirements and to better meet production targets will have an advantage over facilities that still rely on outdated technology and manual adjustments.